Thrissur: A tremor which registered 2.4 on the Richter scale of the National Centre for Earth Science Studies (NCESS) unit in Peechi, with its epicenter at Thirumittakode near Desamangalm and Varavoor on the northern side of the district, occurred on Tuesday at 12.15 p.m. Even though there were no casualties, the mild tremor for three seconds created anxiety among the residents in Desamangalm region including Aarangottukkara and Cheruthuruthi. 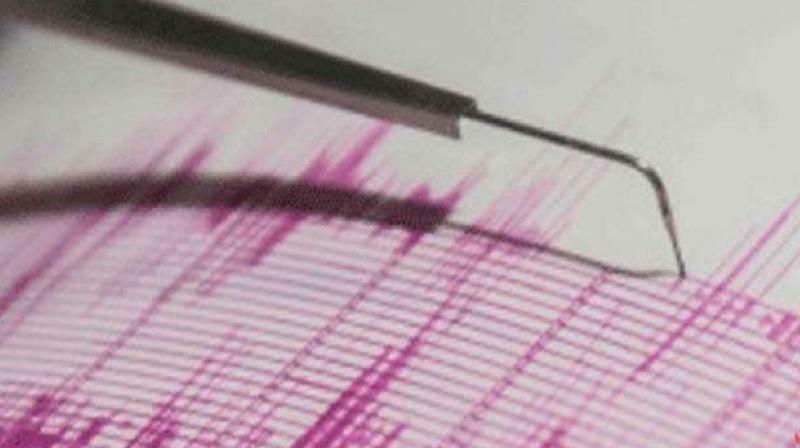 Speaking to DC, NCESS expert Sree Kumari Kesavan said that the seismograph was installed in the centre in 1994 and since then almost every year such tremors occurred. “Due to the adjustments in the underground plates, some strains develop on the cracks below the earth and it releases from time to time. The fact that it is getting released regularly will prevent a major earthquake (magnitude above 5 on the Richter scale) Here, since 1994 no tremor has gone above 4 and there is no cause for worry.” she said. She added that as the earth below the affected region was full of rocks, therefore such mild tremors were felt. “If the earth is loose the effect will not be felt like this, and there is the possibility of more casualties,” she said. Even though experts are not linking the tremors to the widespread quarrying in the region, the local people have come out against illegal quarries here.